How much is my case going to cost? Let me be clear here, there is no way an attorney is going to know how much your case will end up costing before they start actually working on your case. 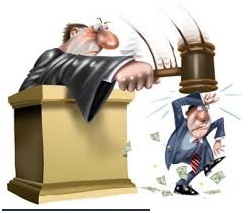 Many unscrupulous lawyers will just tell you what you want to hear regarding costs/fees. Lawyers aren’t psychics, and stuff happens. If your spouse insists on fighting about every little detail, or it’s possible that your spouse’s attorney will engage in behavior that will affect your costs/fees. But, as we’ve said in other entries on our site, there is a mechanism in Arizona law to deal with that. 12-341.01 B. The award of reasonable attorney fees pursuant to this section should be made to mitigate the burden of the expense of litigation to establish a just claim or a just defense. So a good attorney (like one of ours) will always ask, and in many cases get, attorney’s fees from a spouse or attorney who is dragging their feet (and your wallet) in settling your case. I can’t afford to retain a divorce attorney for my case, but still need to get a divorce. What can I do? Maybe you’re strapped for cash, and just can’t afford to retain an attorney full time. We offer two alternatives for clients that can’t retain an attorney for their case. Limited Scope means we’ll represent you for a portion of your case, and you’ll represent yourself for other portions. How we split the duties depends on your facts and circumstances. The good thing about limited scope is that you still get some representation to help guide you through your case. If you have the money though, you really should retain an attorney. If your case is complicated, you run a higher risk of an unfavorable judgment without full representation. Document Preparation means that we will prepare the documents for your divorce, child custody issue, or other family law matter. If an attorney prepares your documents, they can also provide you with legal advice. 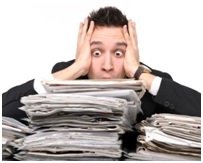 If a document preparer prepare your documents, they can’t provide you with legal advice, and are ill-equipped to do so. You may not think this is a big difference, until you start getting your information together for you case. The bottom line is, some lawyers are going to send you packing right away, if you don’t want to fully retain their services. That’s not the way we operate, we want to provide you with something that will help you through this difficult process, depending on your own financial situation. We want to tailor our services with your personal circumstances, and our main goal is to keep your divorce as painless as possible. For a professional family attorney, call Enholm Law at (602) 889-6273.